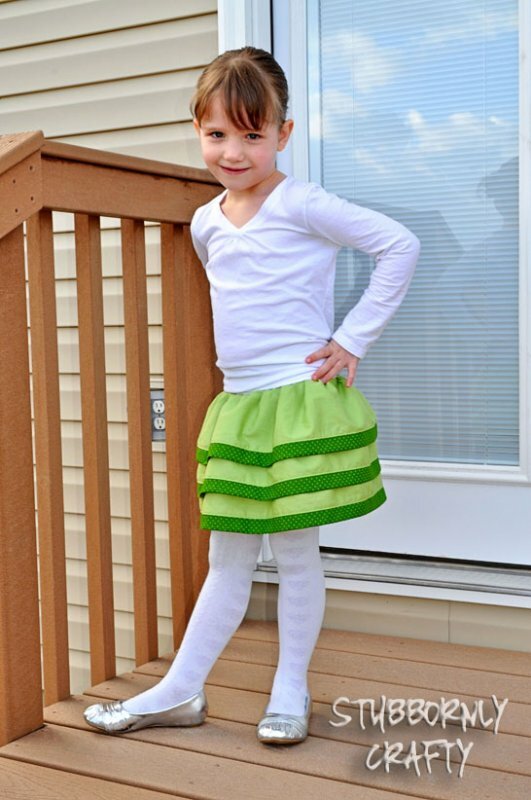 "In celebration of St. Patrick’s Day, I made my daughter a green skirt to wear to church. "It’s a lot like the Christmas Owl Skirt I made here. 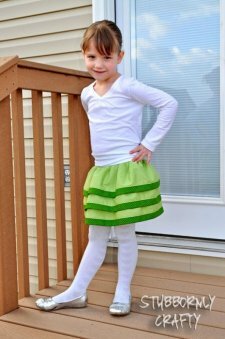 On the Christmas skirt, I made the tiers like you would a bubble skirt..."